Jeffrey Hull resides in Boston's South End. He holds an MFA from the Boston University School of Fine Arts and a BFA from the Kansas City Art Institute. 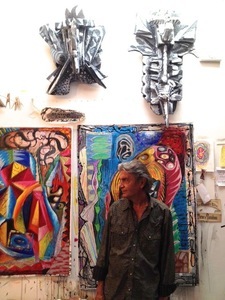 His work has been shown in numerous solo and group exhibitions throughout the Northeast. Jeff has also been honored with awards from the Pollock Krasner Foundation and the Adolf Gottlieb Foundation, among others.